REDEVELOPMENT OPPORTUNITY! 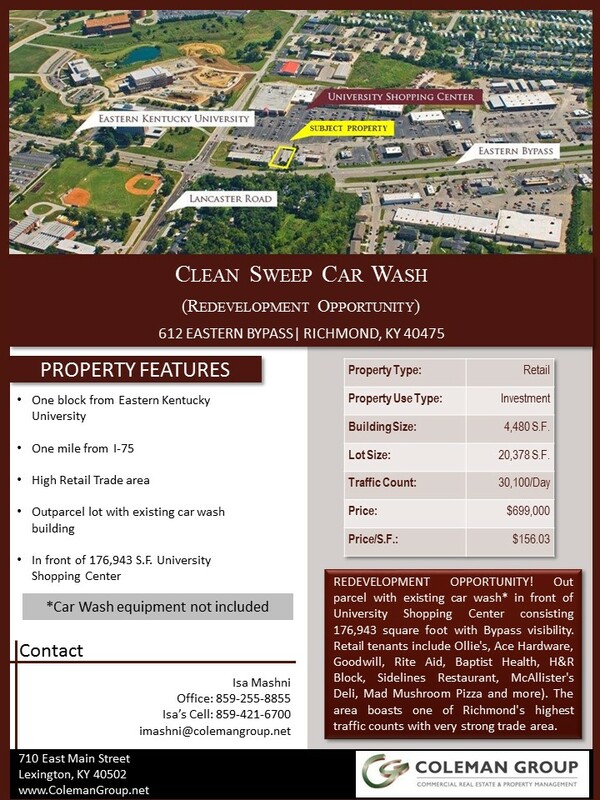 Out parcel with existing car wash in front of University Shopping Center consisting 176,943 square foot with Bypass visibility. Retail tenants include Ollie's, Ace Hardware, Goodwill, Rite Aid, Baptist Health, H&R Block, Sidelines Restaurant, McAllister's Deli, Mad Mushroom Pizza and more). One block from Eastern Kentucky University campus and 1 mile from I-75. The area boasts one of Richmond's highest traffic counts with very strong trade area. 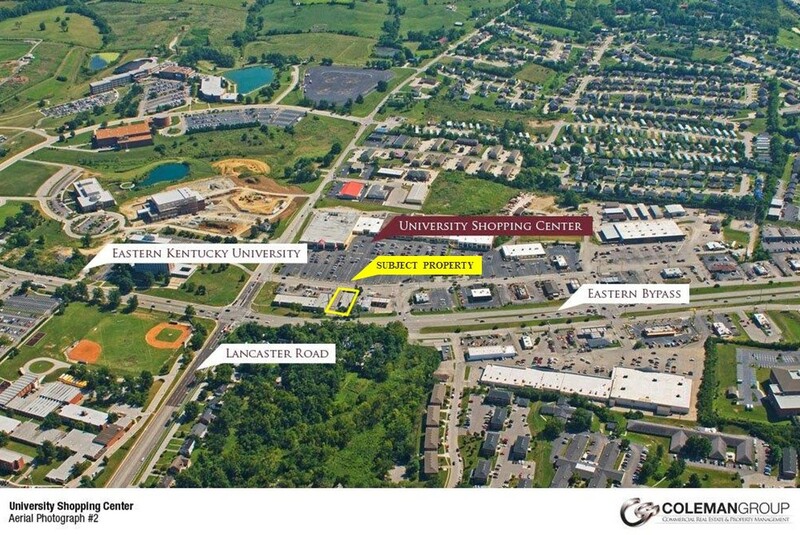 Located just one mile from I-75 on Eastern Bypass within one block from Eastern Kentucky University and in front of University Shopping Center out parcel.